Thanks for making the Wimbledon activation such a great start to the campaign! 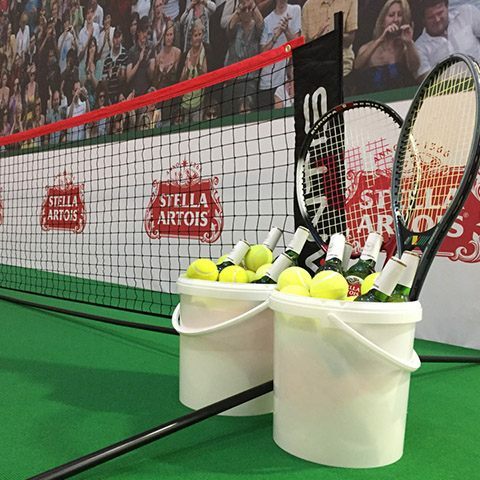 Our client’s beer portfolio includes Stella Artois, the official beer at Wimbledon. 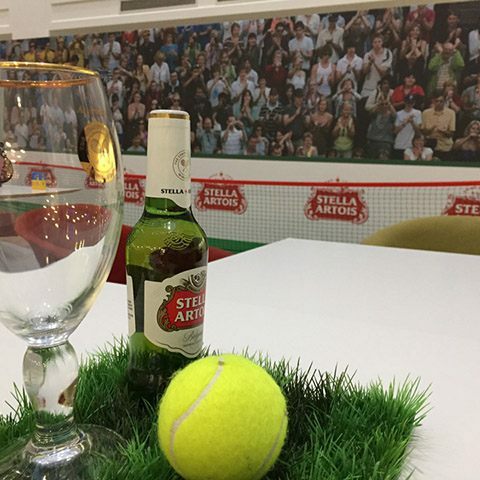 As part of a series of brand activations in its Woking office, we brought Wimbledon to the employees – a fun way of communicating key brand messages about that beer. 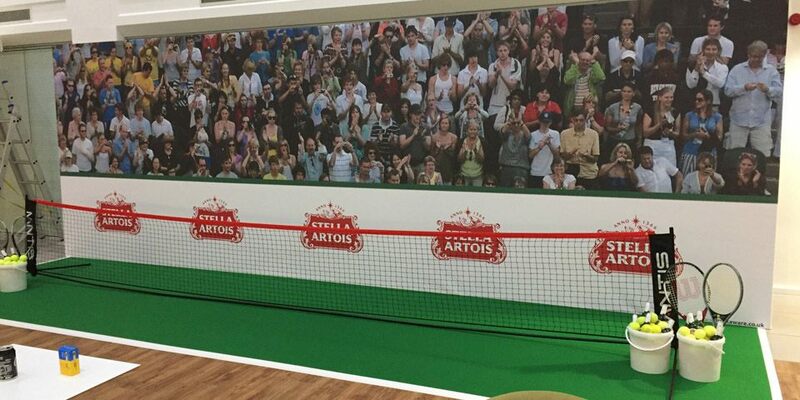 The main communal area became Centre Court, with photographic backdrops of the Wimbledon crowds, nets, racquets and balls – even fake grass! We devised a clever idea centered around the all glass lift, to place a graphic of a tennis racket at the bottom glass pane of the lift shaft, and then a tennis ball was applied to the exterior of the glass lift, so when the lift went up, so did the ball away from the racket. In the opposite direction, the ball then came back down to meet the racket. This provided a great talking point for colleagues and photo opportunity!